Size: approx. 2-3 mm. Photo: 12/25/11, 5 pm. I found this tiny speck on Christmas Day. A couple of them were hanging out on my parsley which did extremely well this winter. There are numerous species of Empoasca in the US, which overwinter as adults on green plants. 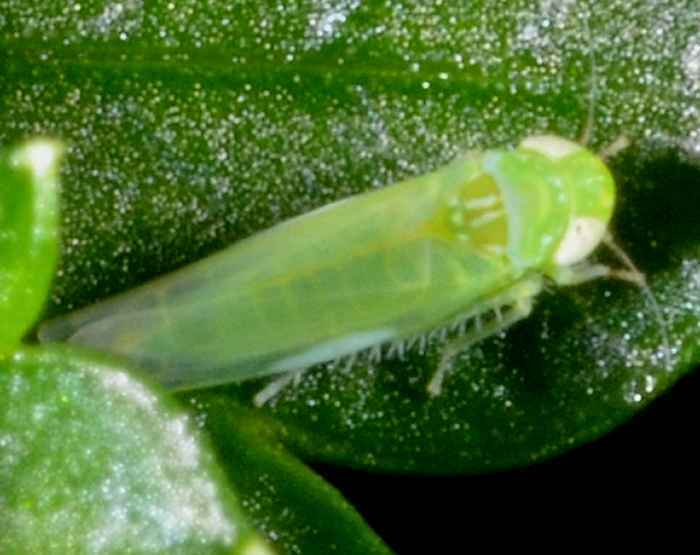 My best guess for this specimen is the Potato Leafhopper Empoasca fabae.